I don’t know about you, but from time to time I like to drop in on the thrift shop to peruse the shelves. You never know when you’re going to find something wonderful that makes you happy. 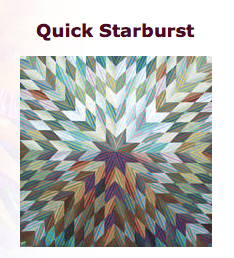 A couple days ago I was moseying through the store, when something caught my quilter’s eye. I turned it over, and yes, they did. 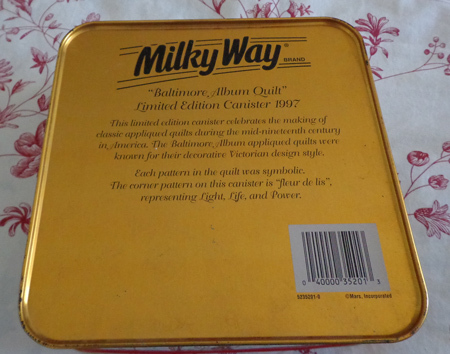 It’s a Milky Way Baltimore Album Quilt Limited Edition Canister from 1997. How very cool that I happened into the shop that day! Needless to say, it came home with me. I was prepared to pay the tagged price of $1.49, but discovered upon checking out that it was 50% off, so it was 75¢! 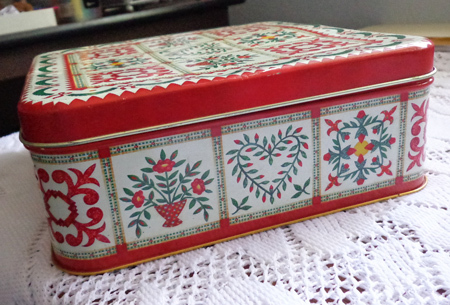 The back says, “This limited edition canister celebrates the making of classic appliquéd quilts during the mid-nineteenth century in America. 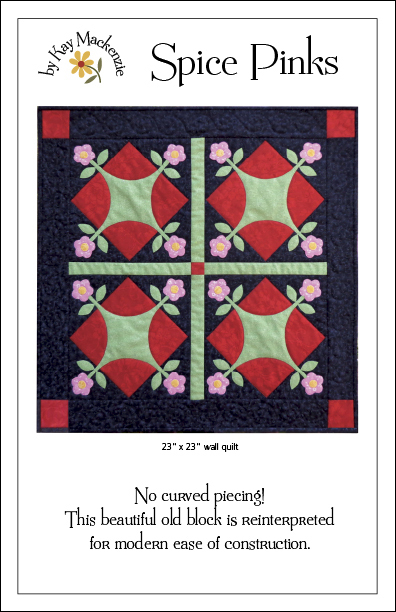 The Baltimore Album appliquéd quilts were known for their decorative Victorian design style. 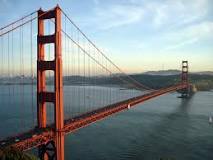 Today I head north over the Golden Gate Bridge and into wine country for this weekend’s quilt show in Santa Rosa. It’s put on by the Moonlight Quilters of Sonoma County and last year it was great fun. 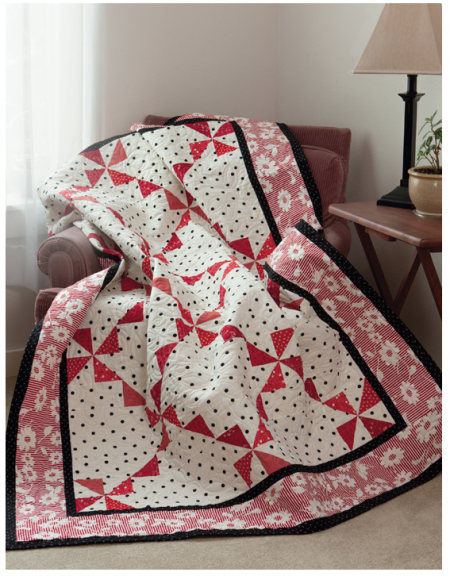 The reader who won Home Sweet Quilt is No. 4, Kathleen! Congratulations! 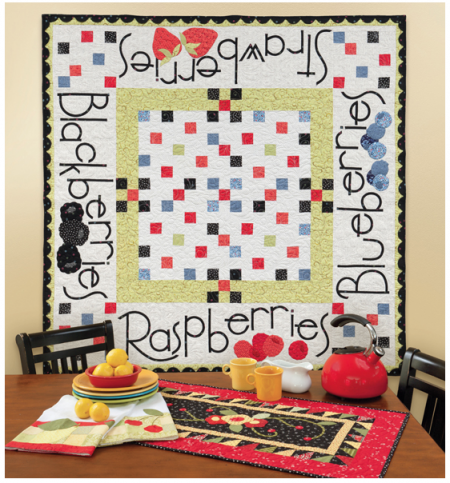 She says she is really looking forward to this color-filled book with its combination of patchwork and appliqué. I agree, that’s the best combo platter! I’ve admired the Jillily booth many times at shows. 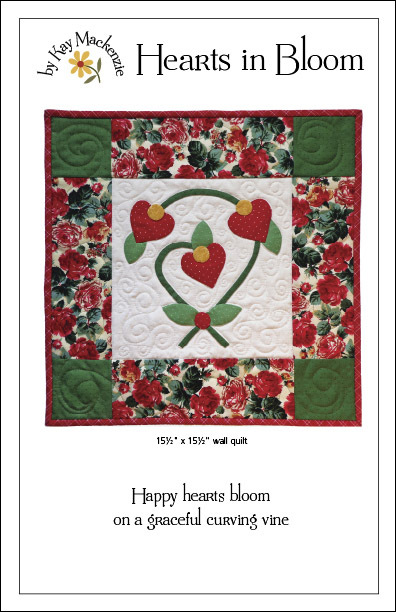 Jill Finley has been designing quilt patterns for over 15 years and is known for her fresh style and beautiful color combinations. 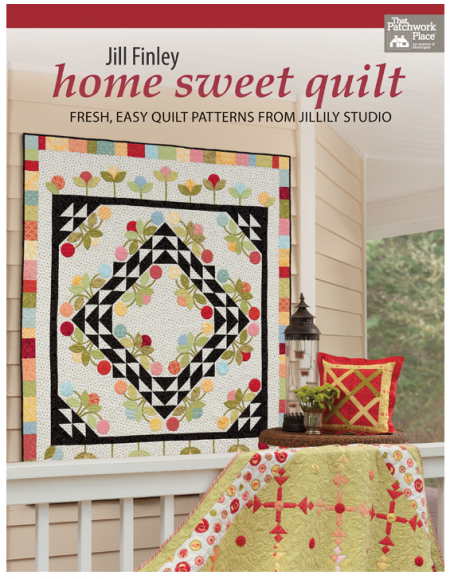 This month, with many thanks to Martingale, we have Jill’s book Home Sweet Quilt. Winding Down, great for the family room. The book begins with a few basics, such as working with wool, attaching borders and bindings, and Jill’s favorite stitching supplies. There’s a whole chapter on “Appliqué the Jillily Way,” which involves starching the edges of the motifs over freezer-paper templates. 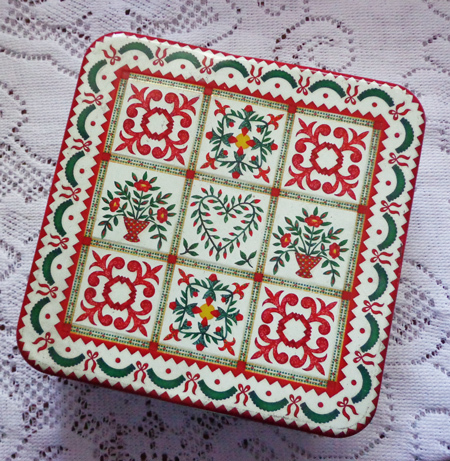 You can stitch them in place either by hand or by machine. 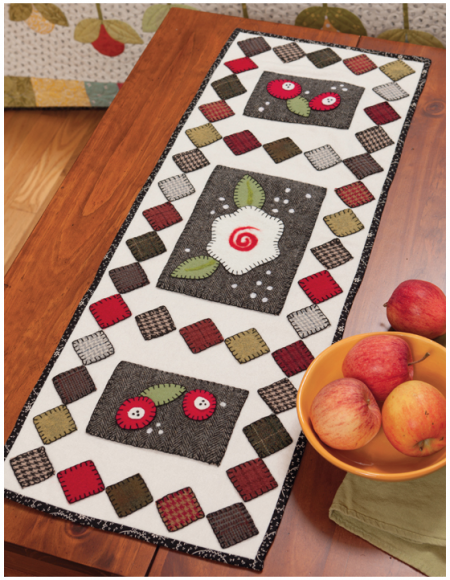 Berry Patch, a cheerful table topper. If you’d like to win this very appealing book, please leave a comment here on the blog post before 7:00 p.m. California time on Thursday, June 5. Open to U.S. mailing addresses only. Good luck! !